(Halifax, N.S.) – Five winners were awarded Efficiency Nova Scotia’s Bright Business awards today. Rochelle Owen, Director of the Office of Sustainability at Dalhousie University took home the Leadership Award (view video). 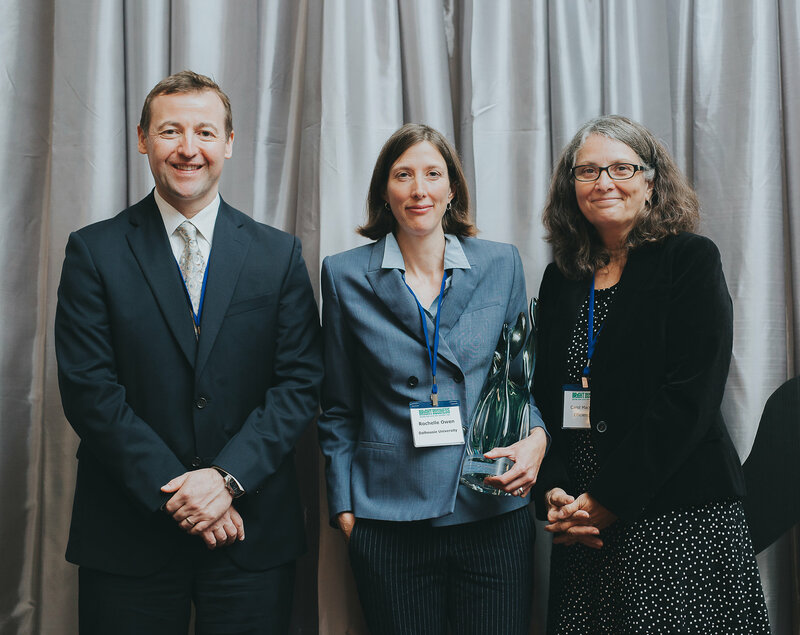 The Leadership Award recognizes an individual’s leadership, contribution and impact on the energy efficiency industry in Nova Scotia. With over 25 years of experience in the environmental and sustainability field, Owen helped create the first Office of Sustainability at Dalhousie and has lead energy efficiency projects throughout the Truro and Halifax campuses. Since beginning her work at Dalhousie, the university has completed many sustainable construction projects including retrofitting buildings, upgrading lighting across campus, and installing urinal tank controllers.